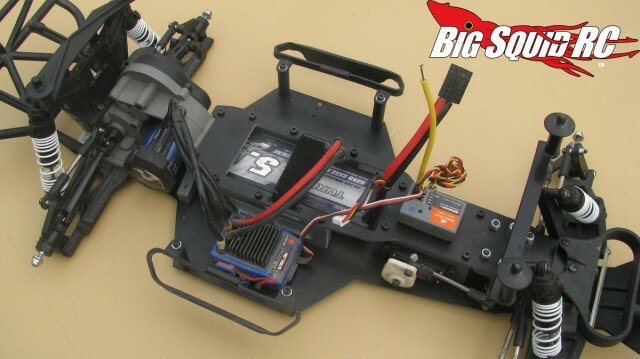 ChuckWorksRC Slice A-S Traxxas Slash Chassis « Big Squid RC – RC Car and Truck News, Reviews, Videos, and More! So we were outside bashing the other day, hitting a big ramp and landing to pavement, just like many bashers do. Towards the end of the session Brian hucks a Traxxas Slash 2wd sky-high and landed right on the rear end. The truck couldn’t move afterwards because the motor was broken from the big impact. 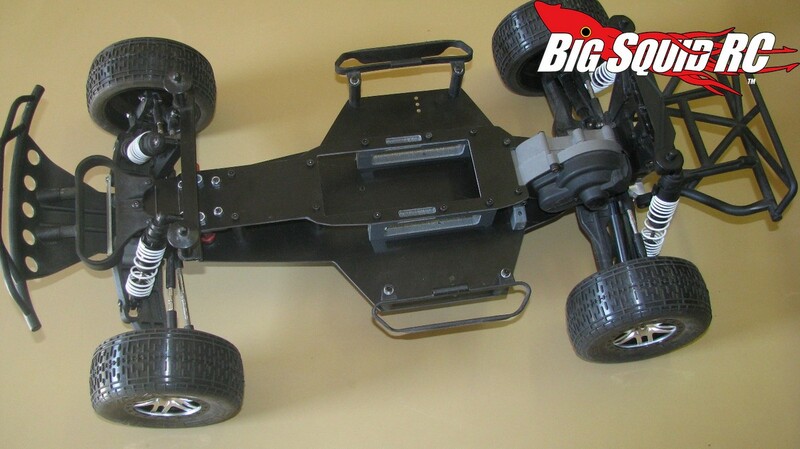 The ChuckWorksRC Slice A-S chassis has been out for quite some time now, it’s an LCG and Mid-Motor conversion for the Slash 2wd. 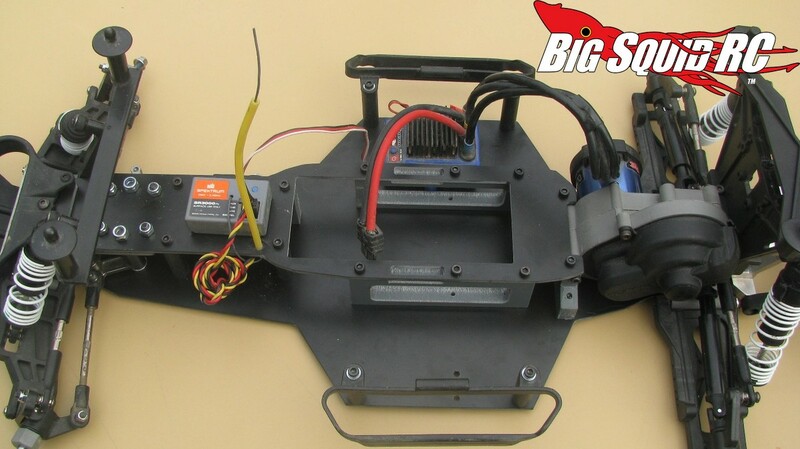 Going LCG and mid-motor can really help the handling of the Slash, but more importantly for bashers, because the motor is tucked safely away in front of the rear shock tower it makes it nearly impossible to destroy one from a bad landing. 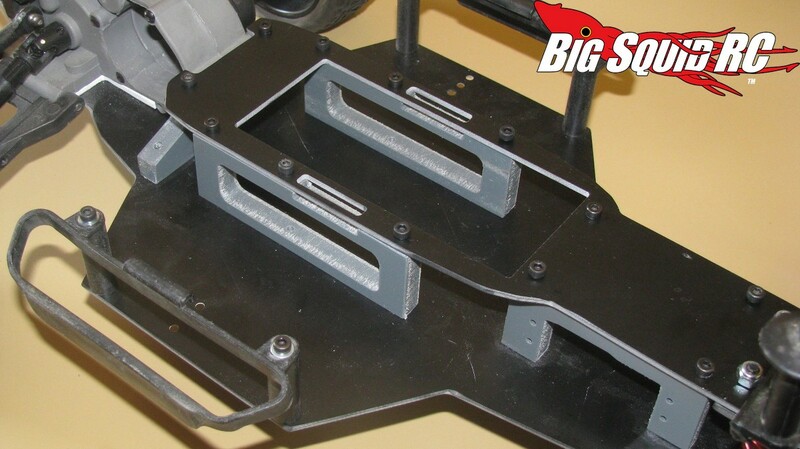 Looking for more Traxxas news? Check out THIS LINK right here on BigSquidRC.